Research into other species received a shot in the arm recently with the Minister of Science, the Hon Steven Joyce, announcing $5 million of Government funding support over a seven year period for a new research programme aimed at species other than radiata pine. The Government's contribution will be matched dollar for dollar by industry with a further investment by Scion of $3.5m over the same time. The new programme will be managed by Future Forests Research Ltd alongside the Steep Land Harvesting Programme. 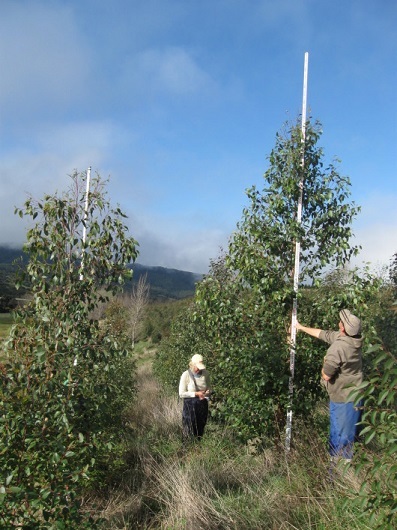 The industry funding is being provided by the Forest Grower Levy Trust and a consortium of forest growers and processors. The new research partnership is a collaborative effort between the industry and three research providers - Scion, the University of Canterbury and Marlborough Research Centre. The programme is unique in the forest industry as it spans all aspects of the value chain from wood products to tree breeding. The programme will focus on identifying new wood products that are differentiated from radiata pine products by their natural durability, appearance and superior strength properties. The species of focus are Douglas-fir, Eucalypts, both durable and non-durable, and the Cypress species. The programme builds on previous research with an increased focus on the production of higher value wood products from these species, including finding ways to use these timbers to complement and add value to existing radiata pine wood products. A Programme Steering Group, chaired by Peter Berg, and made up of representatives of the investors in the programme has been formed and will provide oversight of the research programme. A programme manager is currently being sought and it is hoped that funding contracts will be signed with MBIE in early August.